Tonight's guest is Staci Stak, who was once a regular guest on The Phone Show and Rob The Hyena's Prank Show, and even did her own show called The Fun Show. 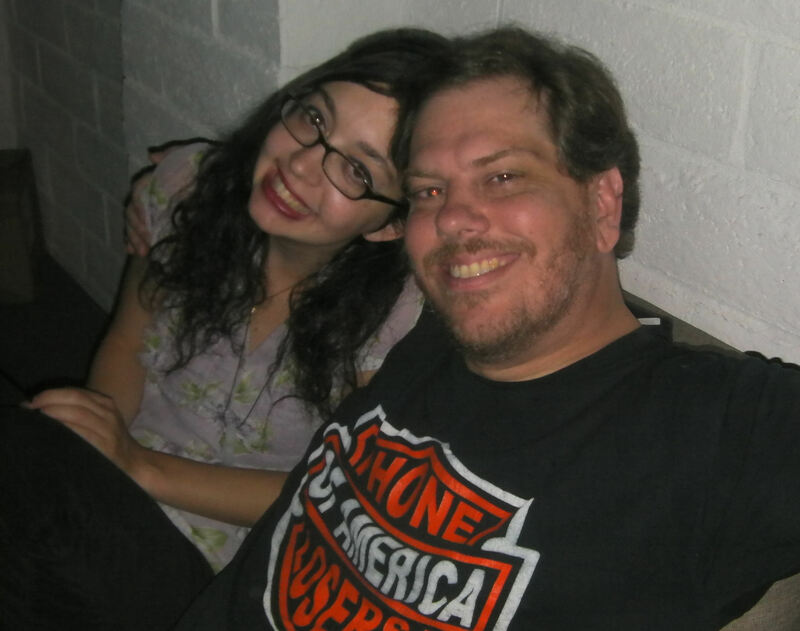 I've known Staci since the early 2000's, when we both discovered the hilarity of Curtis Lee Jones together in a community known as major-losers.com. Tonight we take a lot of listener calls to discuss the past 15 years of hilarity with Staci Stak. Want to hear some calls me and Staci have done together? Listen to us tag team a land lord about the new urinal on our wall, then listen to us nearly get a listener evicted by installing a trap door in his apartment, and top it off by hearing us make a sign company lady the most uncomfortable she's ever been in her life. SUPPORT THE PLA: Join PLA’s Patreon to get extra weekly shows, live show archives, and other occasional perks. Help make the 2018 PLA coins happen. Get PLA stickers from our Zazzle store. Get PLA t-shirts in our Spreadshirt store or our TeePublic store. You can find other merch on our Bandcamp page and on our own store page. Make a donation, shop on Amazon through us, take a look at PLA’s wishlist (or Brad’s), or just support us by helping out with promotion and reviews and telling every last person you know about the show. JOIN THE COMMUNITY: Add PLA on Facebook, add Snow Plow Show on Facebook, add PLA on Twitter, add PLA on Tumblr, add PLA on YouTube, add PLA Shows on YouTube, join the PLA Discord, the PLA Reddit, add RBCP on Instagram, add RBCP on Twitter, add RBCP on YouTube, add RBCP on Vine, leave a voice message for the show at 814-422-5309, call into live shows at 845-470-0336. PLA FRIENDS AND STAFF: Nik Caesar from scary-art.com is the unofficial PLA artist. Buy PLA designs from Nik’s Spreadshirt store and support him on Patreon. You might also like the cactus and PLA designs in Laugh Track Matt’s store, and Olga’s store. Olga also has a Patreon and so does Henrik, who makes lots of music for us. Clownsec does a lot of cool things for PLA so go honk the PLAnet. Watch JIAD’s Calls of Mass Confusion and listen to a few of the prank call shows over at Prank Call Nation like Madhouse Live. Listening to it right now. I think you made the Dart tournament motorcycle angry guy podcast as a hidden one, because you were in trouble with the law back then. I tried like hell to call in, but it didn’t happen. Anyway remember the good times and good calls with Staci. Nik Caesar is Not an artist. Thats crazy talk. Staci’s own show wasn’t “The Fun Show” It’s name was “The Fun Bags Show”.